It's finally spring (yay!!) 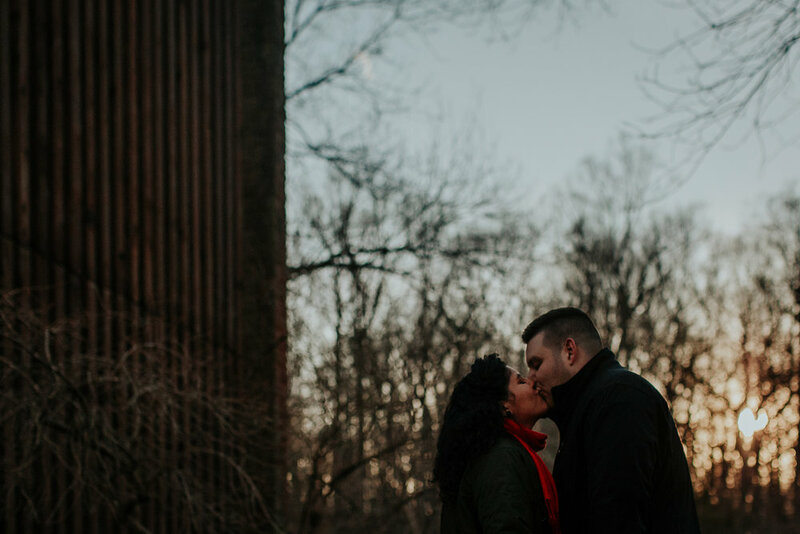 and, in remembrance of winter, I'm blogging this engagement session from early March. On the downside, it was a little colder than expected - but Bobby and Andrea made the best of it (actually, to be honest, they were so in love that they barely seemed to notice the weather). And on the upside, we practically had the whole place to ourselves. I can't even summarize how much I love spending time with this couple - I'm so excited to shoot their wedding this fall (though sad the world's coolest chihuahuas won't be in attendance).